Parents send their children to private schools in order for them to have a better and brighter future. But what if you enrolled your child to a private school that cares more about the school fees rather than the welfare of their students? 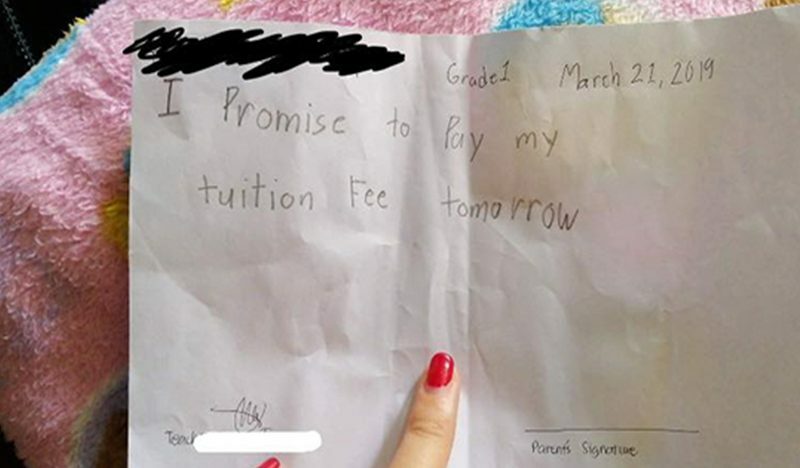 Just like what happened recently to this Grade 1 student, who experienced humiliating after her parents failed to settle the unpaid tuition fee from her school. 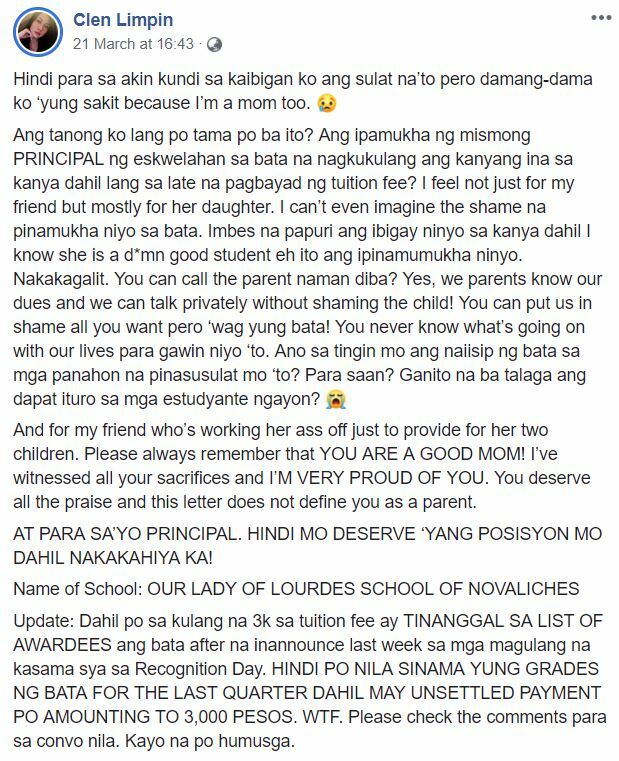 On Facebook, a netizen named Clen Limpin shared a lengthy post about the plight of her friend’s daughter who goes to a private school in Novaliches. 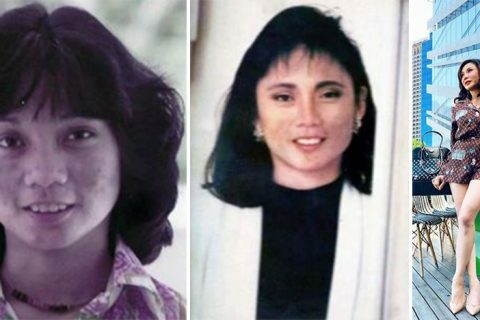 She uploaded a photo of a handwritten note that was made by her friend’s daughter who was in Grade 1. 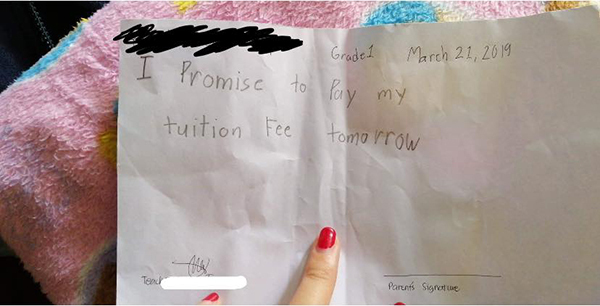 According to her post, the principal of the private school, Our Lady of Lourdes School of Novaliches allegedly urged the said Grade 1 student to write a promissory note to pay her tuition fee balance of Php 3,000 the next day. But that’s not all, the poor child was also removed to the list of awardees on Recognition Day, even though it was already announced a week before that student was included in the awardees. What upset her more is that the issue could have been settled easily by reaching out to the parents instead of making the child write the said letter. Clen was also concerned with the child and what her mindset will become because of it. 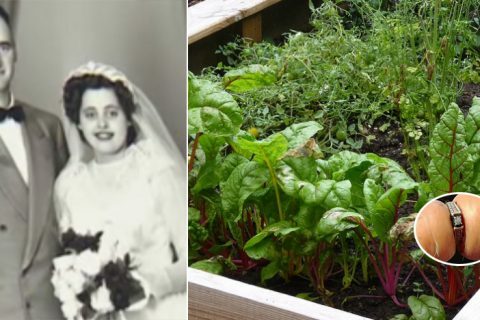 She also went on to give praise to her friend, because as a mother herself, she knows the hardship that her friend needs to go through just to provide for her children. 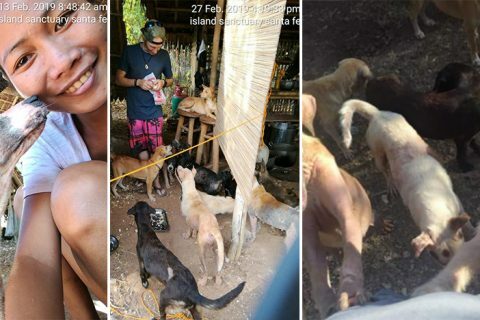 A few hours after making the post, the concerned netizen added a few screenshots from the conversation between the mother and another teacher. The teacher explained that since the school had a “no permit, no exam” policy, it affected the overall status of the child as an awardee. The student’s mother, on the other hand, was very calm with her response. She said that she’ll have her husband go to the school to settle the balance and get the child’s report card because they are planning to move her to another school. 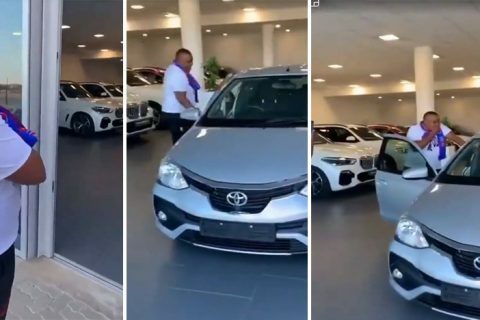 As of this writing, the viral Facebook post has more than 18,000 reactions, 4,300 comments, and has been shared over 13,000 times.